The year 2019 started on a good note for cryptocurrencies particularly Tron (TRX) which surged pretty fast to climb two positions among the top ten cryptocurrencies. Although the market has suddenly turned red, Tron is still making significant progress with dapps on their network. Justin Sun, Tron CEO mentioned today in a tweet that the Tron Blockchain now boasts of 100+ dapps on dapps ranking website DappRaddar and 133 on another ranking website DappReview. Sun is confident that with the upcoming niTron2019 summit and the company’s developers empowerment program, Tron Accelerator, it will soon reach 200 dapps. Tron Accelerator is one of Tron’s initiatives for wooing developers to the blockchain to push the company towards achieving its goal of internet decentralization. It is a $1 million projects that give developers a platform to submit and build dapps on the Tron blockchain and compete for mouth-watering prizes. Tron has made it very convenient for developers to troop to its network for the building of dapps. Last year, Bitguild, moved its gaming dapp project bitCitizen from Ethereum blockchain to Tron. This is just one of the projects that moved and more may still move this year with the kind of programs that Sun has in place. Meanwhile, Tron token TRX has dropped with most of the top ten cryptocurrencies. The market crash started in the last 48 hours and is getting worse, except for stablecoins which are in the green despite the fall. This, however, is of little consequence to Tron as it was built majorly for smart contracts and dapps in which area it is doing well. In 2018, nearly 100 smart contracts had been deployed on the Tron blockchain despite the bear market that hit the market really hard towards the end of the year. Besides TRX was among the top gainers at times when the market saw intermittent recoveries during the bear market. It even defied the bear market sometimes to experience surges in its price and market capitalization. 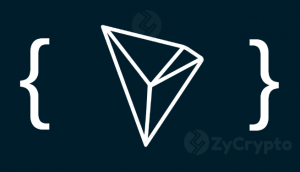 Generally, Tron has been very resilient not just in smart contract deployment and dapps building but also in the cryptocurrency market. Obviously, Sun still has plans in store for the company in 2019 and may climb up the ladder to become a top cryptocurrency before the year runs out. It is hopeful that by the time the current crash is over, TRX will climb up really fast to displace some assets at the top like it did in the past. The post Tron (TRX) Starts New Year with further Progress in Dapps appeared first on ZyCrypto.